Click here to pick up your free copy of Geronimo’s Bones in the Amazon Kindle store. Darrel Bryant, a fifth generation Texan, brings to his writing a decade of military service in both the U.S. Navy and U.S. Army (airborne), to include Special Forces training. An early taste for adventure led to treks across the Yukon and Alaska, hikes into the Grand Canyon, up the Appalachian Trail, and along Hadrian’s Wall in the north of England. 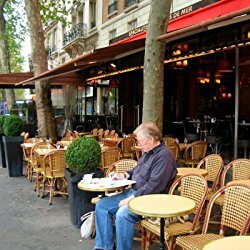 A Hemingway summer lived in Paris. Five years as a riding hand on a 27,000-acre Montana cattle ranch, and crewman aboard the yawl Open Return on her homeward voyage from Long Island, NY to Galveston, TX. With a half-dozen novels in finished form tucked away in a file, he lives alone in a house he built with his own hands, from mostly recycled lumber, on the outskirts of his hometown, Austin. 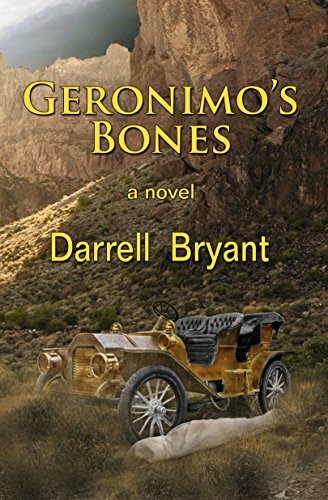 Geronimo’s Bones is his first published novel. You can visit Darrell’s Amazon author page if you click here.